I saw Exodus: Gods and Kings yesterday with Emily. I wanted to like it. I always enjoy movies about Biblical mythology. Well, not always. Mostly it was a monologue by Moses talking to whoever was within earshot. The second main character, his Egyptian brother and Pharaoh-in-waiting Ramses, played a distant secondary role at best, mainly to be Moses’ foil. The other main characters from the Biblical narrative—Aaron, Miriam, Joshua—had about a dozen lines among them, none memorable with the exception of Miriam’s refusal to admit that Moses was her brother to save his identity. John Turturro—usually one of my favorite actors—was unconvincing as Moses’ Egyptian father, not because of bad acting but because he looked more like he would be Moses’ brother. Moses talked to Ramses on his own without brother Aaron’s aid, a necessity according to the Biblical narrative because of Moses’ famous speech impediment, caused when the child Moses chose the burning lump of coal instead of the diamond and put it in his mouth, a sign of his future leadership role among the slaves—though today I have to think that adults who place a lump of burning coal within a child’s reach and then watch as he puts it in his mouth would need a good lawyer to have those pesky child abuse charges dropped, and I’m pretty sure Moses would have struggled with trust issues throughout his life and probably run like hell from the burning bush instead of bowing down in front of it or else become a pyromaniac in a perverted attempt to overcome his fear of fire. The burning bush was only in the background as Moses spoke instead to a God that was played by a child rather than the traditional old man (actually an interesting twist; think Macauley Culkin in Home Alone; do not think George Burns in O God or Morgan Freeman in Evan Almighty). Moses does not flee Egypt after killing an Egyptian guard who is beating a Hebrew slave. Rather, he makes a sarcastic comment to the guard about the uselessness of whipping the Hebrew since the Hebrew is still, according to Moses, smiling even as he is being whipped, but otherwise does nothing. Later, after talking to Joshua’s father Nun [I know their relationship because of the old riddle, “Q. Which Biblical character didn’t have a father? A. Joshua. He was the son of Nun”], an irate Moses storms out of Nun’s shack and attacks, for no apparent reason, someone who I think was an Israeli, unaware that two other Israelis have overheard the conversation between Nun and Moses and are about to turn him in. As a result of their traitorous act, and not because of Moses’ own self-preservation instinct, Moses is carried into the desert by Ramses’ guards and left to die. Meanwhile, the sign that flashed on the screen at the beginning of the movie to tell us where the story was taking place said, and I’m not kidding: “King’s Palace, Memphis.” Did anyone not think we were watching an Elvis movie? As I watched the Israelis slaughtering a lamb per household so they could paint a red “X” over each doorpost, I couldn’t help noticing that one lamb had enough blood to cover at least a complete street. A lot of lambs could have been spared if they had been less wasteful. I hope the Hebrews at least all had lamb for dinner that night, which makes me wonder why Jews don’t eat lamb for Passover as a reminder of the lambs’ sacrifice instead of just putting a shank bone on the Seder plate. 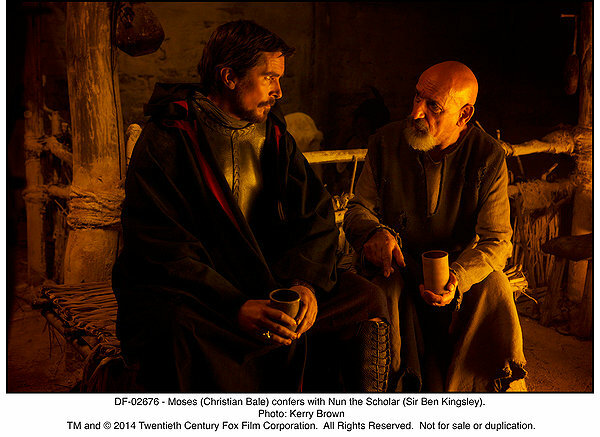 Christian Bale did a decent job as Moses. I look forward to seeing the upcoming “Resurrection: The Second Time’s the Charm” starring Jew Balestein. 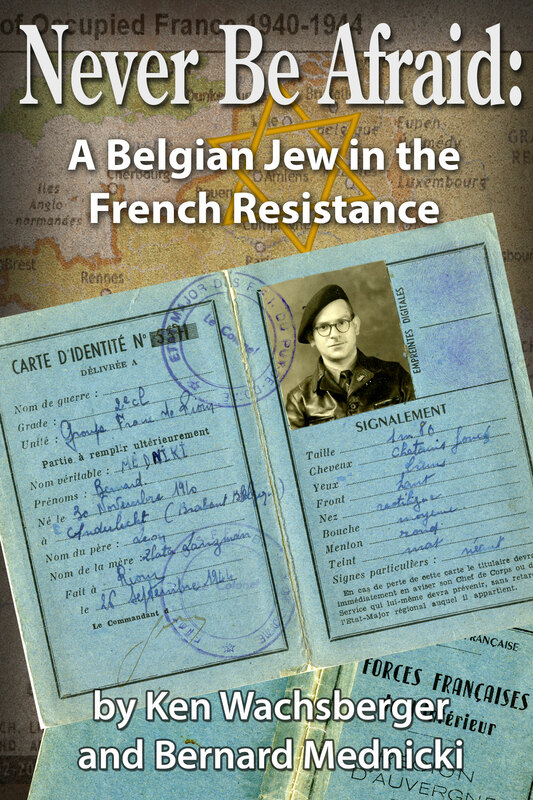 I’m thrilled to announce that my book about the life of Jewish World War II resistance fighter Bernard Mednicki, told in first person by Bernard himself, is back in print for the first time since 1997 and also available as an ebook for the first time ever. I won’t waste time with humility. 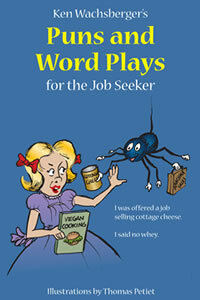 During this holiday season, any reader of this blog site will not go wrong in buying multiple copies for gifts. Bernard’s story of heroism, inspiration, and love of family deserves wide distribution. Never Be Afraid: A Belgian Jew in the French Resistance begins with Bernard’s father and mother taking their family out of Russia to escape the pogroms at the turn of the last century and ending in Belgium on their way to America. There, Bernard is born in 1910. A street-smart Jew from a working-class, Orthodox, socialist background, Bernard flees Belgium with his wife and two young children in 1940 when the Nazis invade, assumes a Christian identity, and settles in Volvic, a small town in the mountainous region of southern France, where their third child is born. While living in Volvic and trying to feed and protect his family, he finds his way—through a series of life circumstances, every one of them a heroic step of courage—into the Maquis, the French Resistance. Never Be Afraid ends with Bernard finally bringing his family to America after surviving the Nazis, completing the journey his parents began forty-two years previously after surviving the pogroms. I fell in love with Bernard when I met him at a Holocaust conference in Pennsylvania through the passionate way he told his story, which encompassed a full range of hand movements and emotions, from sadness to humor. But it was only in Ann Arbor, where he came with his second wife Minnie to spend two weeks being interviewed and tape recorded by me to lay the groundwork for this book, that I became fully aware of at least one hidden reason for his compulsion to tell his story. I learned that he was telling his story not only so that the world would know what happened, as was the stated motivation of so many Holocaust survivors, but to make peace with actions he had taken under stress that he couldn’t control but that he also couldn’t excuse. Never Be Afraid is not a blood and guts story. Bernard killed but he never glorifies his actions. He preferred a hand grenade to a gun, he would tell me often, because with the former he never had to look into the eyes of his victim. Only twice did he kill a man with his hands. The trauma of that second time and the events that followed are what he ultimately repressed from his memory. Three days later, he returned from the mountains to his first wife, Chana, and their three children but he didn’t tell Chana what he did. The war ended, they settled in America, she died in 1964. He never told her. At some point along the way, he forgot. In retelling his story through the years, I believe he was trying to unblock the memories to free himself from his own pain, but his efforts were blocked by the standard format of his presentation, forty minutes of the same oft-repeated anecdotes and twenty minutes of surface questions and answers. Only by first allowing Bernard to tell his whole story without constraints of the clock and then probing deeper into areas of his story that were literarily incomplete or still surface, including his experiences in the Maquis, was I able to help Bernard break through those blocked memories midway through our eleventh of twelve ninety-minute interview sessions. Bernard had begun to slow down by this time anyhow, even in his enthusiasm to tell his story, from sheer force of stress and—despite the fact that in Ann Arbor he was taking a sleeping pill every night instead of his regular three per week—lack of sleep. Still, he had patiently answered all of my questions and even allowed me to repeat one session when that day’s tape was found to be defective. By the end of that eleventh interview session, Bernard had become impatient for the first time. The next morning, I ate breakfast alone for the first time as he finally was able to sleep soundly, and for more than his usual four hours, without having taken a sleeping pill the night before. In Chapter 19, “Like Blood out of the Aorta of a Pig,” the most experimental memoir chapter I’ve ever written, I’ve tried to retain the feel of his struggling to open his memory and unleash those painful secrets that had haunted him since that time, so that the reader can actually experience his pain along with him, as I did that day. That one chapter’s outline is less chronological than the traditional biographical chapter and more like one might feel getting pulled into the funnel of a cyclone. As you read the chapter, do you feel his struggle? I would love comments. After I sent him the final 8 1/2″ x 11″ double-spaced manuscript version of his story, he photocopied it about a dozen times and passed it around to his family members. His health nosedived quickly. In the summer of 1994, after suffering a stroke, Bernard moved into a nursing home in Cherry Hill, New Jersey, near where his daughter Eliane was living with her family. He never did live long enough to see his story’s publication but he didn’t care because, with my help, he had fulfilled his final wish. He and I had enabled his family to hold his story in their hands. The copyright date for this second edition of his story, January 2, 2015, commemorates the twentieth anniversary of his death. Bernard was an amazing storyteller, in the tradition of the legendary Yiddish writers Chaim Potok and Bernard Malamud and Isaac Bashevis Singer. But he wasn’t a writer like them. I was honored that he asked me to write his story for him. In an appendix, Philip Rosen, former director of the Holocaust Awareness Museum at Gratz College, puts Bernard’s experience in its historical context.